Sometimes, the little things that survive a disaster are amazing and make our lives happier. While most of us will, fortunately, never have to deal with the problems related to a house fire, those who have know that finding a small token of the “old life” in the rubble can be a bright spot in an otherwise dark day. 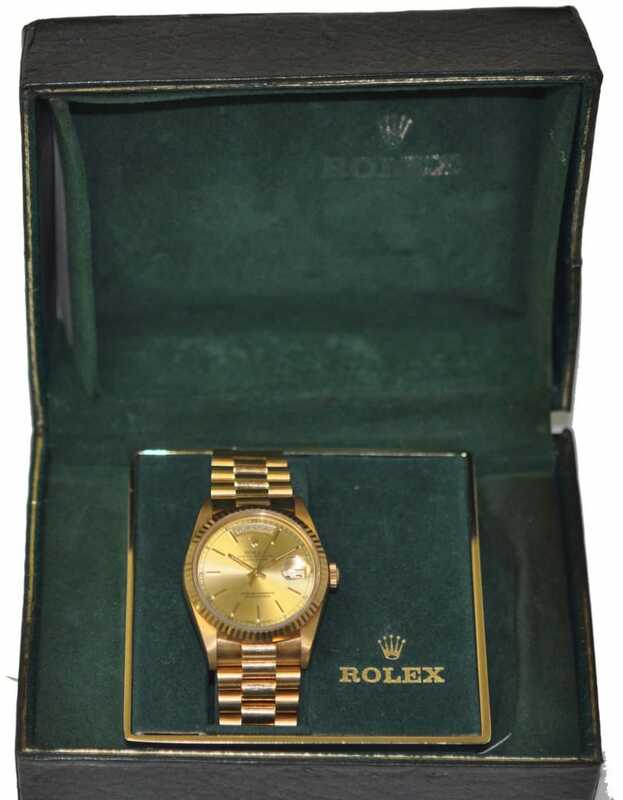 This was the case for a Rolex owner who recently suffered a number of losses in a fire. One of the things that survived, incredibly, was the original box in which his Rolex came. 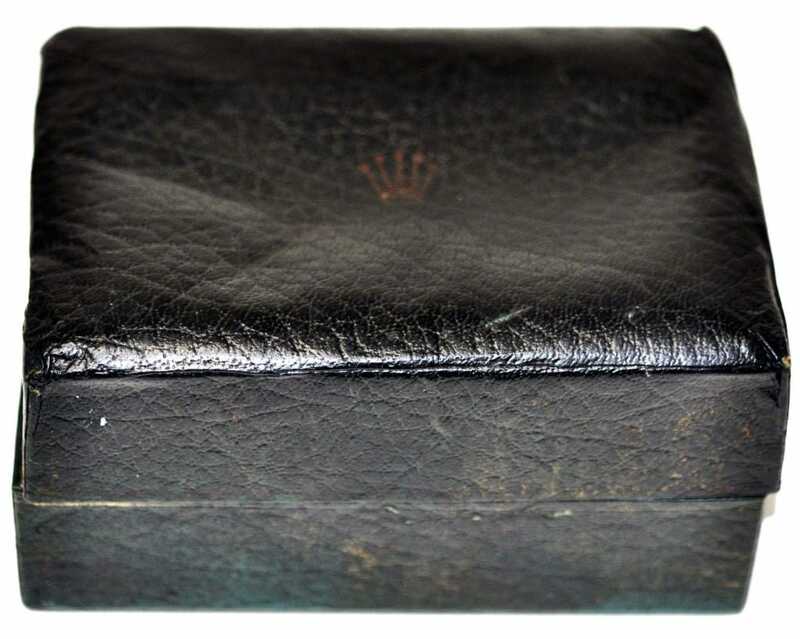 The box features the Rolex crown imprinted inside the cover and a sunken center cavity to hold the watch, while the outside is covered in black leather. The interior is in lovely velvet, providing a cushion to prevent accidental damage or scratching of the Rolex watch that was originally housed in the box. The watch itself sits on a raised section of velvet that is also embossed with the signature crown and the word “Rolex” in gold. Rolex Box with Gold Day Date watch is kept in perfect condition. The Rolex is a Day Date in gold, with a date window and gold bezel and dial. This handsome watch was not in the box at the time of the fire; however, having the ability to return the watch to its original box increases its value (assuming the box is in good condition). A side view of the Rolex fire victim. Many people do not realize how much value the original box adds to a Rolex watch. If you have the original box, you can often resell your Rolex for much more than if you no longer possess the container. 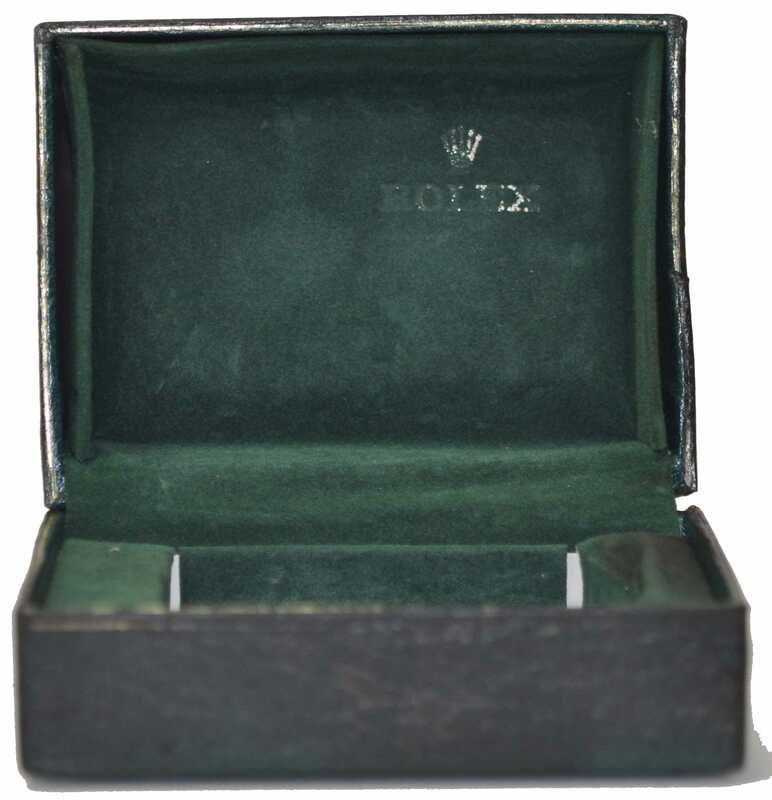 Additionally, having the original box is one more clue that a Rolex might be authentic, as only genuine Rolex watches are sold in these types of quality boxes. However, do error on the side of caution. It is possible to purchase a used box. The best way to safe guard yourself from buying a fake Rolex model is to purchase from a reputable dealer. 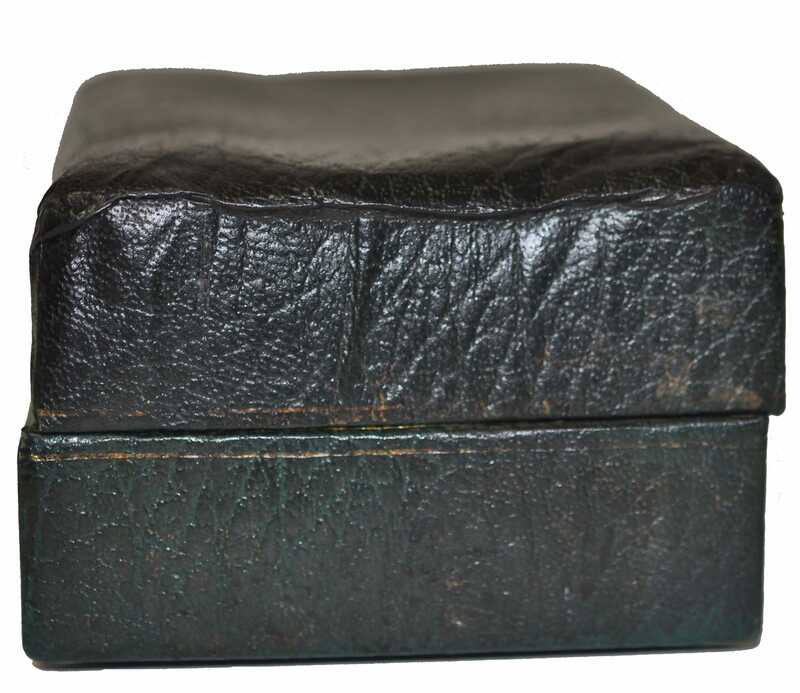 Fortunately for the owner, this box was kept in a place in which it was preserved from the flames and smoke associated with a fire. If you have a vintage Rolex watch or box, it is very important to store it in a place where it will be safe from damage. The safest possible spot is in a safety deposit box at a reputable bank. Failing that, invest in a smoke- and fire-resistant safe in your own home. A good safe, bolted into a wall, will provide as much protection as possible from fire, theft, flooding and other disasters. Remember, it is important to take care of the box your Rolex came in as well as the Rolex itself!